Visually depicts Michael Yamashita's journey as he followed in Marco Polo's footsteps from Italy to China. Each book is signed personally by Michael himself, so don't delay and get your copy while they last! 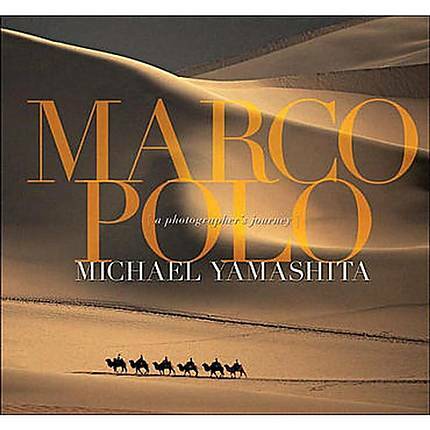 Marco Polo: A Photographers Journey by Michael Yamashita * Signed 00054 is the result of one of Michael's assignments from National Geographic. For the three-year long assignment, Michael followed in Marco Polo's footsteps through the legendary 13th-century expedition from Italy to China. The book is a visual representation of the journey, selling over 200,000 copies worldwide in its initial printing! Each book is signed personally by Michael himself, so don't delay and get your copy while they last!